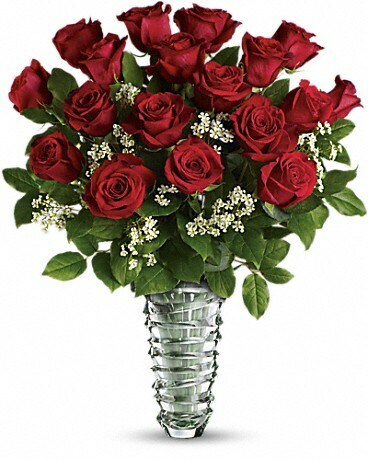 Give her a Va-Va-Valentine's Day with a dozen luscious red roses in a dramatic glass vase with a graceful free-form ring motif. 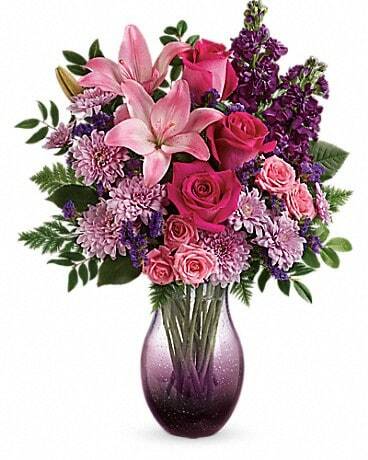 She'll adore the flowers and cherish the keepsake vase for years. 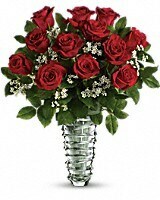 First she'll see the roses and go "ahhh." 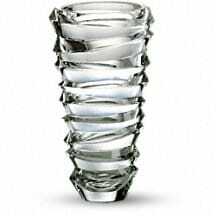 Then she'll see the spectacular glass vase with its free-form ring motif and realize that you've given her a serious love gift. She'll be at a loss for words. But not for long. 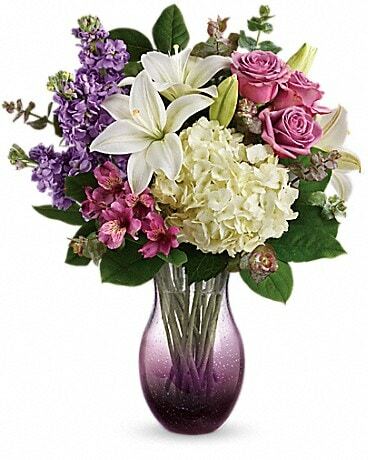 This beautiful glass vase is part of Teleflora's celebrated Flowers-in-a-Gift collection. Elegantly designed, this exquisite keepsake complements every bouquet.